So I've been super busy getting the new anthology done. SPX is coming up this weekend and putting together the book is happening at the prerequisite last minute. 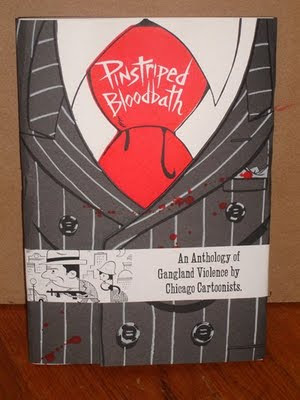 Pinstriped Bloodbath is an anthology of Gangland violence by Chicago comics artists and was edited by yours truly. The book will be debuting over at SPX. More of the details on the book can be found at the Pinstriped Bloodbath Blog here.